This body of work explores the relationship between animals, technology and human psychology. 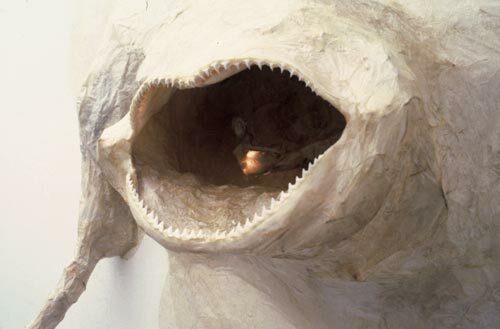 Self Portrait With Shark; shark jaw, rice paper, egg whites, lights, horseshoe crab, 1992. 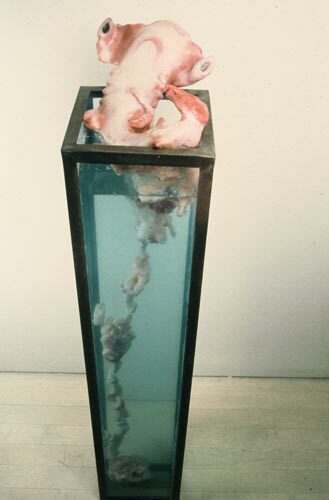 Fetal Hammerhead; wax, water, metal, 1993. 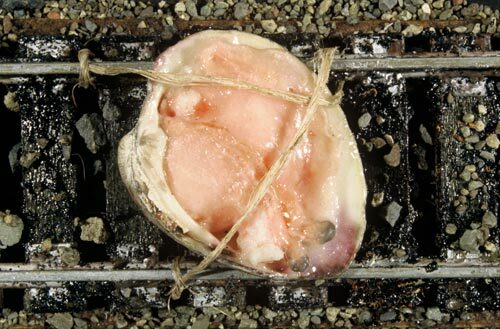 Cherrystone in Distress; miniature railroad tracks, rocks, shell, twine, 1993. 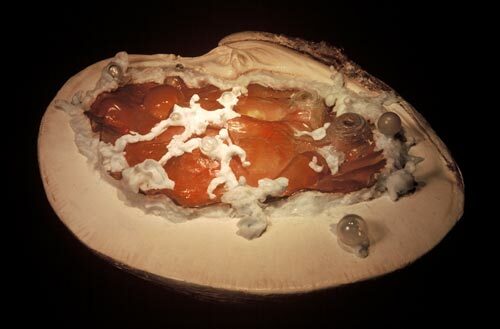 Cherrystone Glamour Shot; glass, wax, 1997. 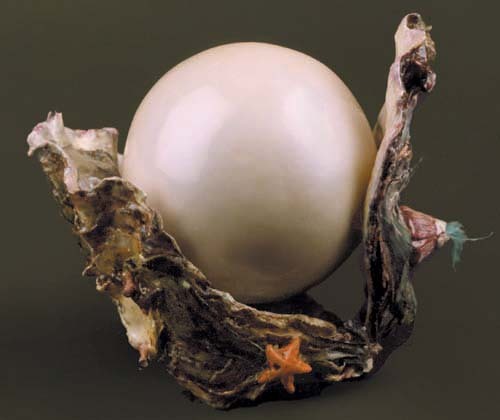 World's Largest Pearl; oyster shell, resin, paint, feathers, wax, 1999. 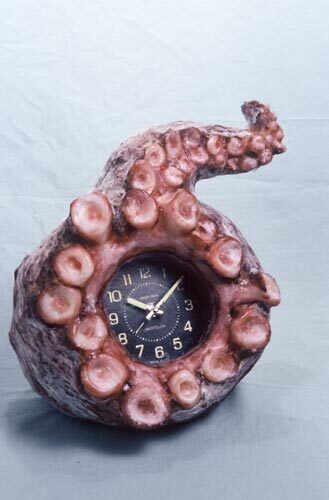 Tentacle Clock; mixed media, 1999. 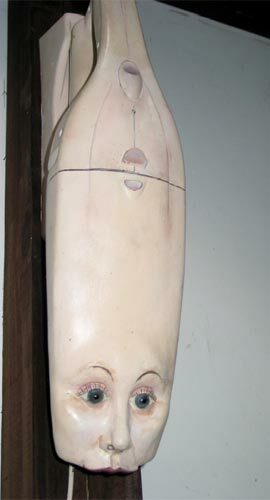 Self Portrait as a Dustvac; dustvac, resin, glass eyes, hair, 2000. 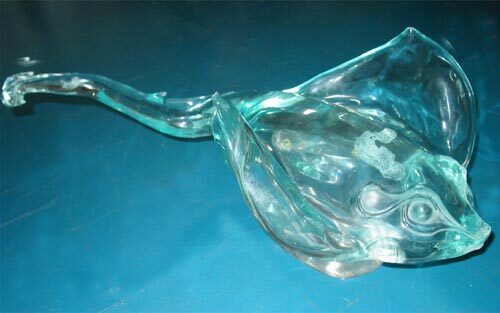 Stingray Spaceship; cast acrylic, 2000. 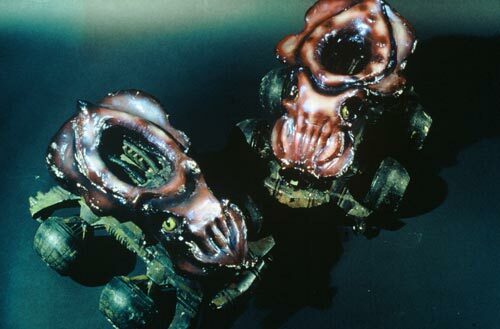 Squid Mobiles; mixed media, 2000.